Welcome to Beauty Salon Print for trade price printing on a range of full colour print items for your hair, nail and beauty salon. Choose our design service or use our free templates to create your own design and wording. Free UK delivery on all items and items are delivered within 3-5 working days. Contact us on 0121 248 8644 or email design@beautysalonprint.co.uk. Trade Price Printing for your salon! Our appointment cards are printed double sided on 350gsm silk, allowing you to easily write your customer’s next appointment. Hand your customers a professional lasting impression with our premium business cards, lamination options available. Our loyalty cards are printed double sided on 400gsm with lamination to the front of the card. Ideal to use with a stamp for each visit. 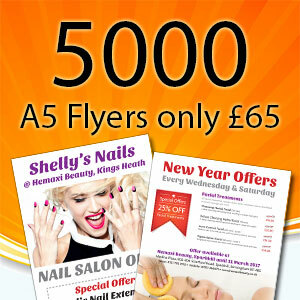 A4 folded leaflets, ideal for price lists that require a lot more products and services than an A5 flyer. When you offer a wide range of products and services to offer your customers, a booklet is the best way to communicate. Display your special offers and best selling treatments on our 250gsm silk posters indoors or use the 220gsm PVC outdoors. Our PVC outdoor banners are a great way to shout about your event or offers, finished with eyelets and hemmed. For your internal display, shows or events, choose our mobile friendly pop-up roller banners, complete with carry case. 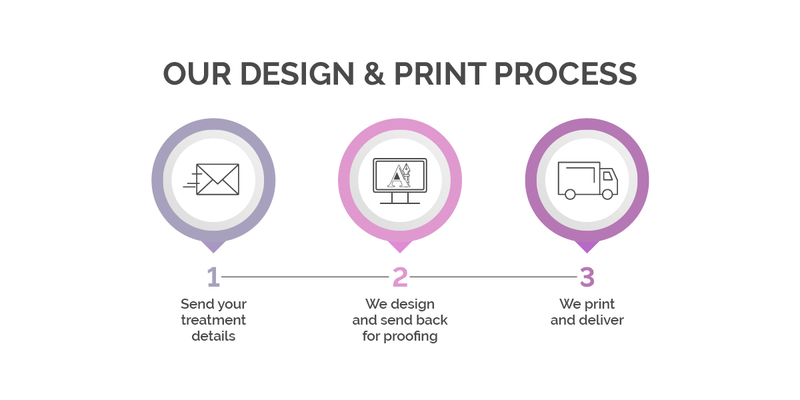 Trade price printing on for hair and beauty salons with free templates for your salon price list, flyers, posters and booklets.